It has been found this structure is in need of repairs to the tune of 7-8 million dollars. I like how the article says it was scheduled for repair, but then it was decided that the "$600 million budget hole" meant it should be delayed, and now it's going to cost more. Yet another example of Oklahoma stubbornly refusing to spend a dollar today to save ten tomorrow. And we really need to stop referring to this budget hole as the reason for everything, it's been repeated so many times it's becoming an urban legend. Doubly so considering they were told to repair it in 2010, and finally decided to think about doing it in 2015, and then oh wait, budget hole. Ooops, sorry! Yeah right, what about the other 5 years? Also, I'm trying not to get political here, as this is not the forum for that, but this is the first complete inspection in 8 years, even though that last inspection found major issues? WHY? I mean, there's something else that has happened there that took eight years, and it's really hard not to connect the two. How often is a complete inspection usually done? Is it only when the locks are changed? This is wild speculation...but I think Mary wanted to live in the Mansion and didn't want to deal with the disruption. I think this gives Stitt an excuse to continue to live in Tulsa. And when construction is finished in a couple-five years, everyone will forget where he lives. TBF, at least part of the delay on implementation was process based I'm sure. Once the inspection report comes in, they have to approve what's going to be done, get funding approval, get the bid process done, etc. I can't imagine it's something that happens super quickly. And probably isn't something that's been considered a high priority. This is wild speculation...but I think Mary wanted to live in the Mansion and didn't want to deal with the disruption. I hate Falin with a passion, but if you look at the place from the inside, you can't see those issues. It's very easy to ignore the issues when you do see them every day. The rotting windows are behind drapes or rot from the outside. If your toilet flushes, how do you know the plumbing is bad? And how often does the governor worry about how many crock pots she can plug in at one time on the electrical system? If he's going to put the family up on the Centennial House on the same grounds, then we've got ourselves a temporary mansion until whatever the choice is, is done. So no, Stitt isn't going to stay in Tulsa. Even if his family does, he's going to be here...just like he already is (and to be fair, i didn't vote for him either...not a fan). At what point in the cost of the repairs, do we look at replacing the house with a new one? Im not going to suggest typical modern design, rather keep it stone/etc. But do we make that call or do we repair regardless because of the historic nature of the building? This is insane to me. $571 a square foot for the repairs/remodel. $571! The Tulsa Club building, as an example of comparison, is a Bruce Goff designed Art Deco masterpiece that will open in about 60 days as a luxury hotel. The building was abandoned for more than 20 years, open the elements and had the homeless setting regular fires inside. Restoration cost $260 a square foot. My guess is this isn't just restoration, but upgrading the security of the facility. We won't just have new windows, but bulletproof windows which appear original. My guess is it really is just that trashed. When you are told something is urgent and then sit on it for 8 years, it didn't spend that time magically getting better. I haven't seen anything about upgrades. 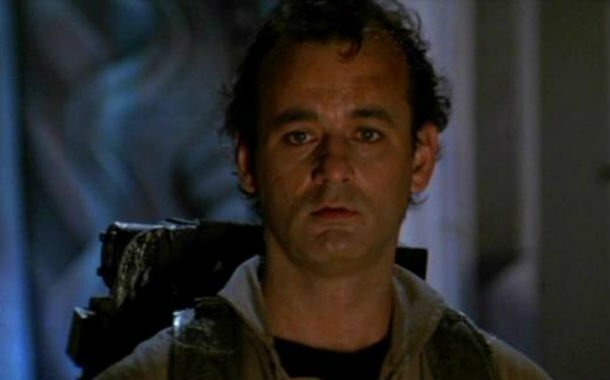 Maybe part of the cost is for a team of exorcists to finally get rid of William H. Murray's ghost? I'm sure Gateway will get the state a fantastic mortgage for these renovations. TLO: Hipsters invaded the Governor’s Mansion!